This guest post on small business spending is provided by our partner Wave Accounting. The first step to harnessing your personal spending is to understand how, where, when and why you spend. Before you develop any sort of budget template, characterize your spending behaviour as it is now. Consider connecting an expense tracking software such as Wave Accounting to your bank account and credit card and accurately tracking every transaction for a month. Do this without judgment – the point of this exercise is to create solid data that you can use to identify personal spending triggers and find the black holes in your budget. If you don’t know where all your money goes, cash might be the culprit as it’s notoriously hard to track. If this sounds like you, you may be best served to forgo cash altogether. 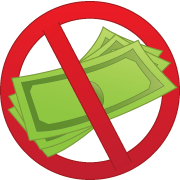 Instead of withdrawing cash to cover expenses, pay for everything using your debit card. Check your records on a regular basis to take advantage of this information. Organize your expenses weekly, and create weekly budget targets for your recurring expenses such as groceries, gas, parking, dry cleaning and household items. You can catch overspending much faster in a weekly budget as opposed to a monthly model, and it’s easier to get a better understanding of habits when you’re looking at smaller chunks of time and money. Many small business owners develop an austere approach toward their personal spending, believing that they need to completely cut out entertainment expenses. This almost always backfires and results in an unrealistic budget, poor tracking, and unnecessary guilt. Instead, treat entertainment like any other budget item: Give yourself a weekly target, and stick to it. If you still find yourself not sticking to your budget, remove the temptation completely. If you know online shopping is your weakness, remove all of your credit cards from your favorite online sites and delete the bookmarks from both your laptop and your mobile devices. Leave the plastic at home when you leave the house, and make sure you keep your weekly targets visible. Developing these strategies will give your new habits time to take root. is a free online accounting application designed to liberate small businesses with nine employees or less from accounting tasks. Dedicated to providing solutions for small business owners, Wave also launched Wave Payroll, an easy and affordable online payroll application. Founded in 2010, Wave has already welcomed nearly half a million users worldwide. Tax Extensions: Do They Increase Your Chances of Being Audited?